Aug. 28, 2013—A new in vitro system will allow investigators to explore how immune system T cells develop specialized functions. Aug. 26, 2013—A newly identified factor regulates blood vessel growth in colorectal tumors and could be a promising target for cancer therapies. Aug. 23, 2013—Alkaline phosphatase enzymes appear to play roles in promoting pregnancy and in protecting the uterus from bacterial infection. Aug. 22, 2013—Cumberland Pediatric Alliance (CPA) is joining the Vanderbilt Health Affiliated Network (VHAN). The transition of operations is expected to be complete by October. Aug. 22, 2013—Cardiac surgeons recently performed Vanderbilt Heart and Vascular Institute’s 100th ventricular assist device (VAD) implant.  Aug. 22, 2013—Vanderbilt University Medical Center is now certified as Tennessee’s only teaching site for an advanced trauma surgical skills training course offered at fewer than 50 hospitals worldwide. Aug. 22, 2013—Neal Patel, M.D., MPH, has been named chief medical informatics officer for the Vanderbilt University Health System. Patel, professor of Clinical Pediatrics, Division of Pediatric Critical Care Medicine, has served as the inpatient chief medical information officer since 2006. Aug. 22, 2013—Robert and Michele McClellan expected the experience of their infant son’s birth via cesarean section to be like that of other women who had had the procedure — unable to witness their son’s exit from the womb and for him to be immediately whisked away. Aug. 22, 2013—Gautam Bhave, M.D., Ph.D., assistant professor of Medicine, is receiving the Burroughs Wellcome Fund 2013 Career Award for Medical Scientists (CAMS) for his research on the role of peridoxasin and protein halogenation in diabetic nephropathy. Aug. 22, 2013—Utpal Davé, M.D., and Sandra Zinkel, M.D., Ph.D., have each received one-year, $100,000 “bridge grants” from the American Society of Hematology (ASH) to support research that has not been funded by the National Institutes of Health (NIH) due to budget cuts. Aug. 22, 2013—A telemedicine initiative in Vanderbilt’s Department of Hearing and Speech Sciences is working to make follow-up hearing tests for newborns more accessible in rural areas of Tennessee, while teaching young pediatric audiology and pediatric speech language pathology students to treat patients remotely.